Why, yes you can. The following sound file has two ticks, sixty milliseconds apart. Play it. So, the Android phone can produce (using the default music player) pretty impressive high resolution output (blue trace). But when played via VLC, the output is chopped off a little above 20kHz. And with an iPhone 6S, VLC sends the frequency response all over the place. Weird. I’m still accumulating statistics on the rearranged digital TV stations, but stumbled across something rather unexpected. On Prime the ishoptv shopping channel, and the RACING.COM horse racing channel, don’t use MPEG2 video encoding. They’re now H.264, aka MPEG4-AVC (Part 10). Their audio is AAC. Anyone with an old set top box or early digital TV probably can’t receive them. Looks like I’m going to have to double check the others. I’m sure that we’ve all worked out by now that all the TV channels that used to be run by Southern Cross Ten are now being run by WIN TV, and vice versa. A bit confusing, but my TVs and set top boxes seemed to sort themselves out reasonably well. It turns out that there has been at least one positive side effect: the Channels 9HD Canberra and WIN Canberra HD are now broadcasting in full 1920 by 1080i, after years of their predecessor channels running at 1440 by 1080i. It’s probably about time that I started gathering data for a new table of bitrates. I’ve put up my DSD vs PCM piece which was published earlier in the year in Australian HI-FI. It’s called ‘Direct Stream Digital and the Power of Imagination’. Well, it looks like some stats will no longer be available for my Blu-ray reviews. It all depended on a program called BDInfo.exe. And that only worked with AnyDVD decryption running. Now the makers of AnyDVD have pulled the pin. The long arm of the movie industry has reached Slysoft.com (the maker of AnyDVD) in Antigua, and they’ve shut up shop permanently. I discovered this when I stuck Disc 3/4 of Season 5 of The Game of Thrones in the Blu-ray drive and AnyDVD reported it couldn’t contact the AnyDVD server. So no more bitrate graphs or average video or audio bitrates. Fixed audio bitrates I can get using other techniques. Ages ago I mentioned here the Mythbusters episode where they destroyed a CD by spinning it way too fast (23,000 RPM). Since 2005 video equipment has gotten a great deal better. The Slow Mo Guys have a video out with them shattering CDs by spinning them too fast, and filming at up to 170,000 frames per second! Scrolling through the far-too-many albums on my NAS, the original self-titled Toto album (1978) caught my eye. It had been a few years since I last played it, so I set the hard disk spinning, the computer decoding the FLAC and the DAC sending the resulting analogue signal to the sound system (KEF LS50 speakers with Krix Seismix 1 subwoofer, for those interested). The members of Toto were all virtuosos at their instruments, and supremely experienced largely as session musicians. There can be few debut albums which are as tightly delivered as this. The songs — ‘Georgy Porgy’, ‘Hold the Line’, for example — are of their time, but lifted by their solid construction and the excellence of the performances. But the first stirrings of punk were becoming evident by 1978. The music media were taken by its raw ‘authenticity’, now matter how manufactured it was in reality. 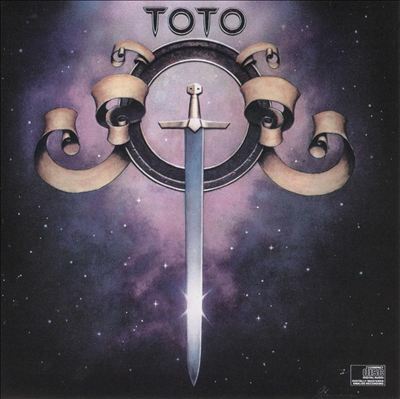 The listeners nonetheless made Toto a hit, even though the critics were dismissive (Rolling Stone: ‘Toto is the kind of dull debut you’d expect from a bunch of career session players’). I would dispute the suggestion that the craft may have come at the expense of inspiration. But otherwise, yes! Was it really that Harrison Ford? I hired an old friend, Harrison Ford, to help with the carrying of cases and loading of magazines. He accompanied us to the San Jose concert and then on to Bakersfield for another show. Harrison managed to set up a camera and shoot some footage in San Jose with little, if any, training. Harrison Ford? How many of them can there be? Well, according the IMDB, on Feast of Friends Harrison Ford is listed as Cameraman for this movie, and has no other credits. So I didn’t bother to mention this possible coincidence in my review. Not happy with the roles being offered to him, Ford became a self-taught professional carpenter to support his then-wife and two small sons. 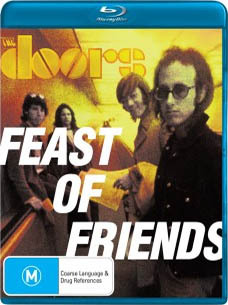 While working as a carpenter, he became a stagehand for the popular rock band The Doors. So it looks like it was him after all. Apologies for all three of you readers. I’ve been away for so long, from the blog, but not from working. I expect to be doing more here in the future, including loading up some interesting measurement data. But what prompted me to return was to kind of whinge, and kind of solve a problem. I’m a Windows guy, but in these days of computer audio it’s silly for me not to cover the other major platform, the Mac. So I acquired an entry level Mac Mini, plugged it into a small full HD TV, redeployed my old Apple keyboard originally used with an iPad and added a trackpad. And there you go, a fully working Mac! I can say with confidence that the so-called ease of use of Macs is wildly overstated. It’s difficult to see how one is better than the other, especially if you want to stray off the beaten path just a little. Anyway, for Music I used a free package called Vox for a while, but then I started reviewing DACs that support Direct Stream Digital streaming and Vox didn’t support this. So after doing some research, including using the excellent The Well Tempered Computer as a resource, I decided on Audirvana Plus for the Mac. 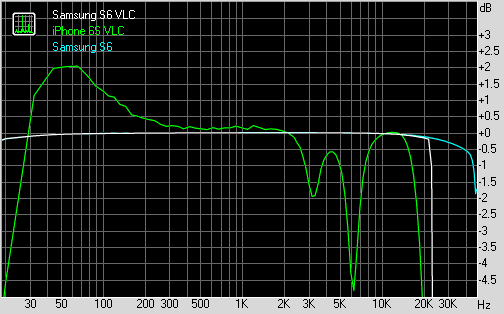 It has lots of nifty search functions, and can stream DSD, plus PCM up to 384kHz, to any DAC which supports it. The DSD uses the DoP protocols (DSD over PCM — the DSD is disguised as PCM in order to trick the USB circuitry). But Audirvana Plus also has a cool feature called System Optimizer which gives it priority over a whole bunch of other Mac processes in order to reduced the chances of interruption. I tried to use it but got an error message, and haven’t bothered again for a few months because I was getting clean playback most of the time anyway. Last night, though, I was streaming a couple of 384kbps tracks and DSD128 ones and there were some hiccoughs. So I decided to sort out System Optimizer. That turned out to require delving into some nasty deep Mac stuff. Ease of use, no. But I’m recording it here, in part in case I ever have to do it again. I fired up Audirvana Plus again, switched on the System Optimizer and started playing a track. It asked for permission to install, which it did without demur and the music started playing with the SysOpt indicator showing. So, there, Macs really are easy to use, aren’t they!